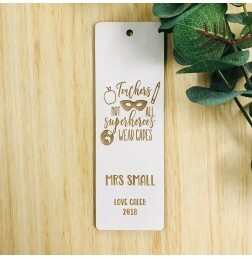 IF A GOOD TEACHER GETS AN APPLE YOU DESERVE A WHOLE ORCHARD BOOKMARK 15cm tall by 5cm w.. 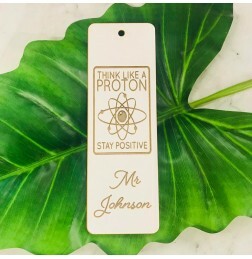 THINK LIKE A PROTON AND STAY POSITIVE BOOKMARK 15cm tall by 5cm wide in 3mm MDF with pe..
MUSIC TEACHERS GUITAR DESK SIGN 20cm tall by 28cm wide in 3mm MDF with personalised tea..
PERSONALISED TEACHER RULERS 30cm ruler in 3mm MDF with personalised teachers name cut o..
TEACHERS PENCIL DESK SIGN 30cm wide in 3mm MDF with personalised teachers name engraved..
TEACHERS NOT ALL SUPERHEROES WEAR CAPES BOOKMARK 15cm tall by 5cm wide in 3mm MDF with ..
TEACHERS PENCIL WALL/DOOR SIGN 30cm wide by 20cm high in 3mm MDF with customised name. 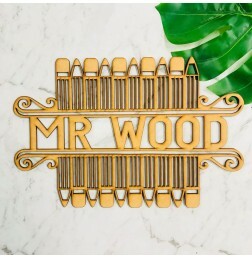 ..
TEACHERS DETAILED DESK SIGN 30cm wide by 21cm high in 6mm MDF with customised name. 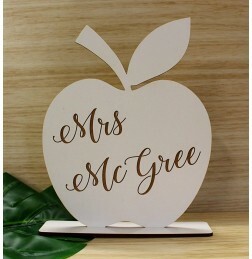 &nb..
LARGE TEACHERS APPLE STAND 400mm tall and made from 3mm thick MDF, 2mm acrylic and 6mm thick stan..
LARGE TROPHY STAND 300mm tall and made from 3mm thick MDF, 2mm acrylic and 6mm thick stand. 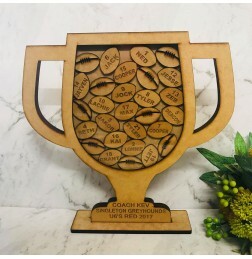 RAW ..
TROPHY STAND 200mm tall and made from 3mm thick MDF, 2mm acrylic and 6mm thick stand. RAW ONLY. 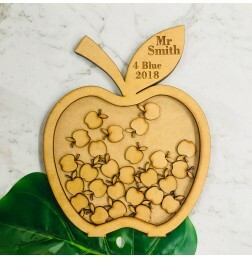 ..
TEACHERS APPLE COASTER 100mm diameter made from 3mm acrylic. 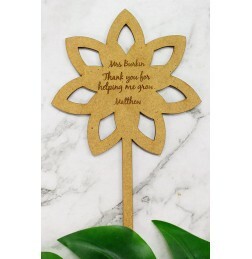 ..
TEACHERS THANK YOU FLOWER SIGN 100mm diameter flower with 150mm stem. 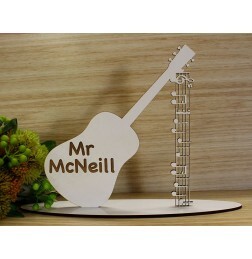 ..
TEACHERS DESK SIGN 400mm wide by 10cm high in 6mm MDF. 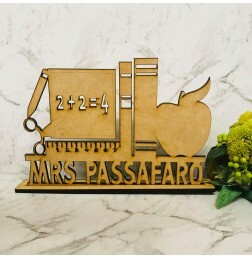 Comes in two pieces. ..